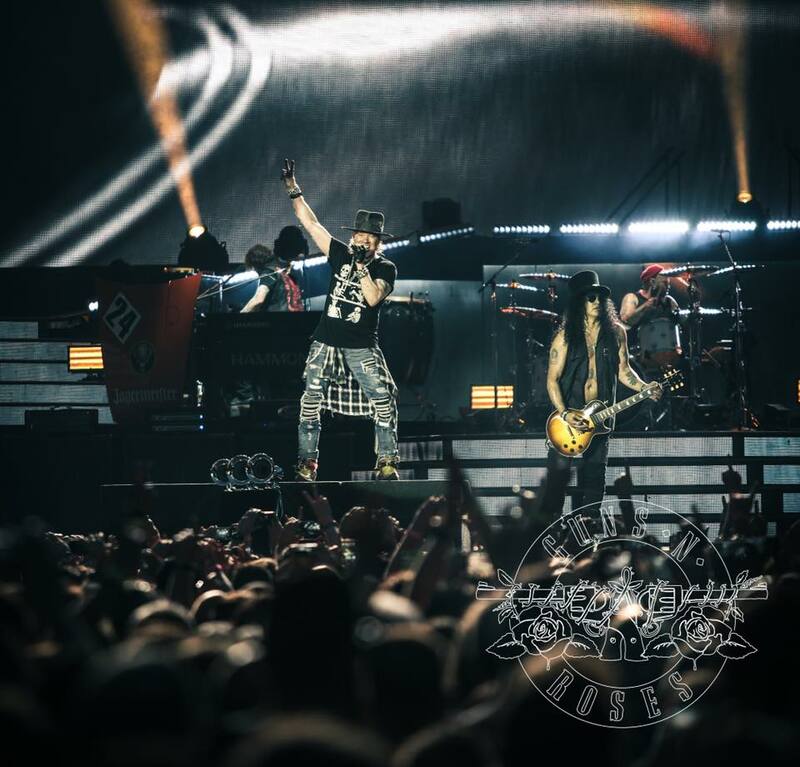 Guns N’ Roses delivered the live debut of the 2004 Velvet Revolver classic, “Slither”, during the opening night of their European tour in Berlin, Germany on June 3, and video from the event is streaming online. The tune was the lead single from "Contraband", the debut album by Velvet Revolver – which featured GNR members Slash, Duff McKagan and Matt Sorum, and entered the US Billboard 200 at No. 1 on its way to sales of more than 2 million copies in the country. Guns N’ Roses first show of 2018 at the Olympiastadion kept a similar format to the group’s standard setlist for the Not In This Lifetime tour, opening with 1987’s “It’s So Easy” and featuring covers of songs by Pink Floyd, Paul McCartney & Wings, the Misfits, and Jimmy Webb. “Thanks for having us back, Germany...”, posted the group after the show. Now in its third year, the reunion trek of Axl Rose, Slash and Duff McKagan will play a 7-week run playing a mix of stadium shows and festivals across Europe this summer, including appearances at Italy’s Firenze Rocks, Belgium’s Graspop Metal Meeting, and Download in the UK, Paris and Madrid…the tour will continue with dates in Asia this fall.